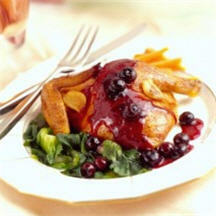 CooksRecipes has quality, kitchen-tested recipes for fruit sauces and syrups that you can count on for successful deliciousness. 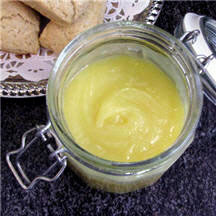 Serve as a dessert sauce over ice cream, pound cake or as a sweet sauce with roasted or grilled poultry or pork. 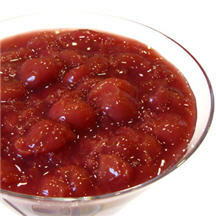 A quick and easy homemade cherry sauce that makes a delicious topping for desserts like vanilla or lemon cheesecake, pound cake or ice cream.